Kurt Feltus is originally from Vermont where he credits his work ethic and attention to detail to the old school knowledge of building science. 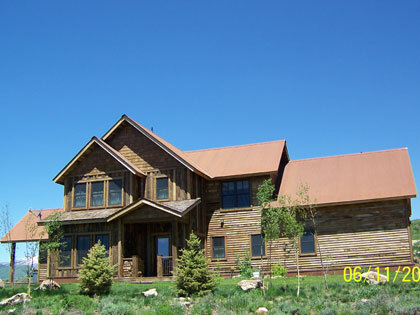 He couples that with new technologies and on site ingenuity to build some of the finest homes in Crested Butte. Kurt works tirelessly with home owners and designers to get the best possible result out of a new home or remodel at a fair price and a timely schedule. Kurt first moved to the Gunnison Valley in 1991 to attend Western State College and started working for some local contractors in the summers. After graduating in 1996 with a degree in Geology, he traveled around a bit and decided to come back to Crested Butte to pursue a building career, starting Double Top Frame & Finish and raise a family. 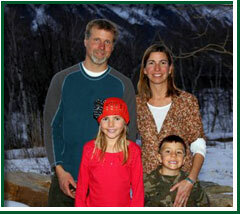 Kurt, his wife Mindy, and kids, Morgan and Tucker are now happy and contributing members of this community. What we liked about working with Kurt is that from our experience we know that we will receive not only quality results and but at expected costs. While Kurt’s team can produce most overall construction and finish work, what he doesn’t specialize in he knows just who to sub-contract the work to. We value very highly Kurt’s honesty, knowledge and ability to find middle ground with our ideas and what will actually be the most practical solutions. We anticipate additional work on our house from time to time and will always consider Kurt to be a part this. Please feel free to contact either of us to discuss further. If we are able, we always like showing off the end results of the work in our Crested Butte house. Call or Email us with any questions concerning your new project.